The boys finished the tournament in fourth place (3-2) with a 50-39 win over Kotzebue and losses to Bethel and Seward. The Bethel game went to overtime with Trevor Wilson, John Esnardo, and Dallas Lane combining for 72 of the team’s 77 points. Wilson was also named to the all-tournament team. The Raiders will be back in action against Sand Point this weekend and KUCB 89.7FM will have live coverage of the games. The girls are at home, and the boys on the road. The Unalaska boys' basketball team plays their first home games of the 2017-2018 season this week. 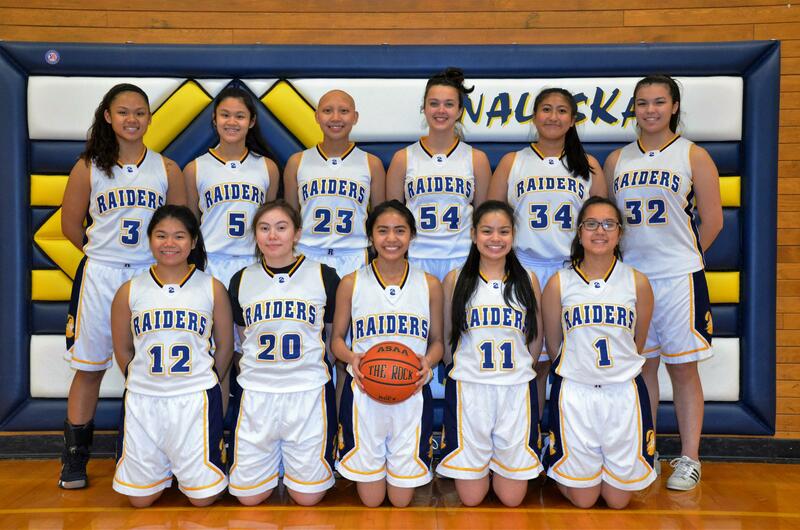 Last year, the squad made it to the state championship game ultimately falling to Metlakatla 49-45. Since then, the team graduated 11 seniors and gained a new head coach in Riley Spetz. But it also returns reigning 2A player of the year Trevor Wilson. Spetz sat down with KUCB to talk about the team and his expectations for the season. You can catch live coverage of the boys' games against King Cove Thursday and Friday at 7 p.m.